1. What was the Red Scare? And the new Green Scare? 2. Who is the author and how does his background inform writing this book? 3. Who is the Animal Liberation Front (ALF)? 4. Who was Stop Huntington Animal Cruelty (SHAC)? 5. Who is the Earth Liberation Front (ELF)? 6. How was the word “terrorism” weaponized in the Green scare? 7. How did corporations and lobbyists create this hysteria for governments and law enforcement to target eco/animal rights activists? 8. What does the American Legislative Exchange Council (ALEC) have to do with criminalizing protest? 9. Why should organizers read this book? ​In the U.S., it’s becoming increasingly trendier to “go green” and become more environmentally-conscious in our daily lives under capitalism. However, there’s a whole other movement of eco-consciousness and activism that is being heavily criminalized and repressed. 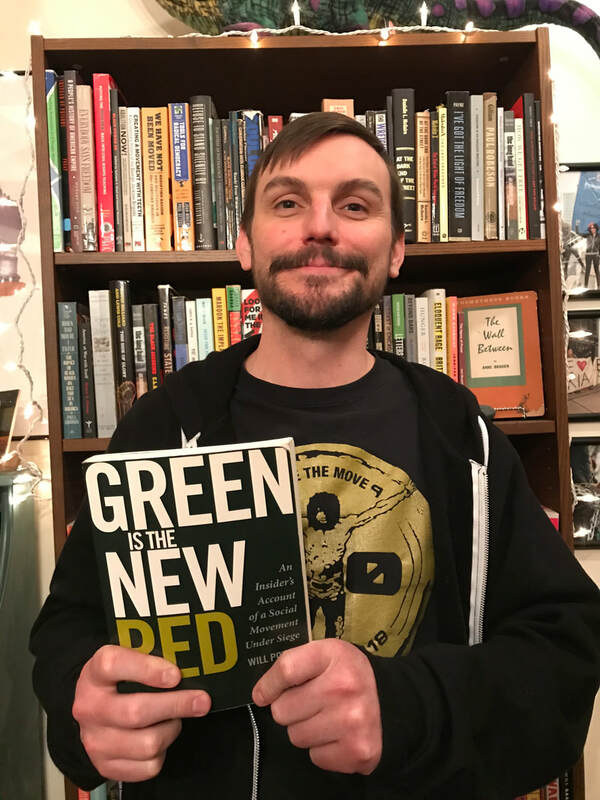 In his debut book, Green Is the New Red: An Insider’s Account of a Social Movement under Siege, independent journalist Will Potter provides detailed accounts of the targeting of environmental and animal rights activists across the country. Our guest on today’s show is Brad Thomson, a local radical lawyer at the People’s Law Office, which has a history steeped in defending the rights of Fred Hampton and the Black Panther Party. Brad focuses on repping people whose civil rights are violated by the police and other state actors, and people criminalized based on their political identity and organizing affiliation. We explore Green is the New Red and how the people that have been involved in the most militant parts of these movements have been attacked and criminalized, how industry and government have characterized these militant actions in order to tarnish the entire movement, and use scare tactics to make it so that anybody who is part of these movements is fearful. Tune in now.